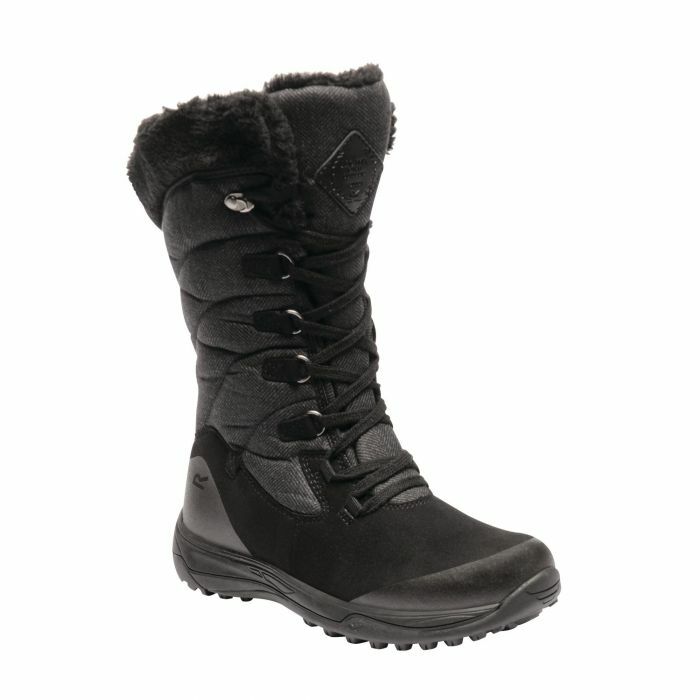 Heavy duty winter boots packed with performance technologies for total cold weather comfort. Our Lady Newley Boot uses quilted herringbone fabric with tough-wearing rubber overlays and fine-quality faux-fur to keep feet warm, dry and protected. Thinsulate fleece lining provides an effective barrier to the cold while the waterproof/breathable Isotex membrane and Hydropel finish guard against rain, sleet and snow. Feet are kept feeling fresh with a breathable Ortholite® footbed. The lightweight rubber outsole with a super grippy tread offers excellent traction. Weighs 480 grams.